Barbados is the ideal location to register an offshore company, offering unique advantages over other offshore jurisdictions. Low Tax Rate – The offshore tax rates for international business companies are very low ranging from 0.5% to 2.5% of taxable profits. No Withholding Taxes on Dividends – Non-resident shareholders do not have to pay withholding taxes on dividends or on other income received from the registered company. Capital Gains are Tax Exempt – There is no capital gains tax in the country. Well Regulated – The international business and financial services sectors operate within a highly regulated legislative framework ensuring compliance and stability within the system. Many Taxation Treaties – There are 21 taxation treaties in place with 30 partner countries providing great opportunities for investors worldwide to benefit from low taxation. OECD “White Listed” – Recognized by the Organization for Economic Co-operation and Development (OECD) as one of the few offshore jurisdictions that has substantially implemented the internationally agreed tax standard. Economic, Social and Political Stability – Long-term political stability, economic prosperity and strong social cohesion make Barbados a safe place to invest, work and live. High Quality Management Services – The local workforce is well educated providing high quality management, accounting and legal services for international companies. Excellent Infrastructure – The well developed infrastructure includes a robust banking system, modern telecommunication services, an international airport and world class accommodation. An Island Paradise – Barbados is one of the most beautiful islands in the world featuring white sandy beaches and turquoise seas making it a true Caribbean paradise. The Barbados Offshore Advisor provides a complete guide to the country’s international business sector helping newcomers navigate the process of setting up an offshore company from start to finish. The country’s low tax rate makes it an appealing choice for businesses that want to reduce their international tax burden. The many taxation treaties and regulatory framework offer qualified individuals and companies the opportunity to legally benefit from the many advantages that an offshore company can offer. Regulation and legislation mean that only international businesses falling within this framework will qualify. There are many factors involved when evaluating a prospective company’s fit within the protected frameworks. Factors to consider may include the country of residence of the parent company and its shareholders, the type of business and services provided as well as the location of the company’s main customers. All these factors mean that a company’s eligibility must be evaluated on a case-by-case basis. Although these stringent requirements may exclude some companies, those that qualify to register offshore will receive valuable benefits by situating their business on the island. By choosing Barbados, these companies benefit from very low taxes within the protected framework of tax treaties with their home country, allowing them to legally pay less tax. This right is recognized through legal agreements and it is what separates Barbados as a respected low tax jurisdiction from unrecognized tax havens that operate based on rogue principles. Are you excited to find out if your company can benefit by registering in Barbados? You should be and the Advisor is here to help. Complete our Barbados Offshore Eligibility Form for an initial evaluation free of charge or contact us by email to discuss your particular company’s situation and its needs. So, you are eligible to register an international business and it seems like a good idea. 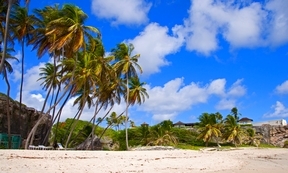 How do you go about setting up offshore in Barbados and what will you need? You will need to speak to an international tax attorney in your home country to ensure that you use the best structure to satisfy all regulations and treaty obligations. You will also need a Barbadian attorney to register and represent your company, a Board of Directors as well as management and staff. At first, it sounds complicated, challenging and sometimes overwhelming. It isn’t. With a bit of help and the right connections, it is a breeze to get your company set up and doing business in no time at all. What are the offshore costs involved? Surprisingly, the costs for registering your business are very low and are affordable for most businesses. Ongoing costs can vary widely depending on the company’s business and particular requirements. All of these costs can be quoted ahead of time so that you know exactly what you are signing up for. Moving offshore requires that the international arm of your business is managed by the Barbados office. How you do this may vary depending on your business needs. For smaller companies, management services can be contracted to a management service provider, while larger companies may need to hire a full-time manager and staff to run their operations. You may even want to transfer a manager from the head office to the island to run the new company. In addition, there will be annual tax returns and audit requirements for the business to maintain its low tax status on the island. The Barbados Offshore Advisor has extensive experience and contacts to draw upon to get your business up and running. This website provides the resources needed to learn more about the great opportunities that doing business in Barbados can offer. Once you are ready to make the move, contact the Advisor for a free offshore evaluation of your particular situation. The Advisor will offer assistance for free and put you in contact with the lawyers and managers best suited to handle your needs. Copyright © 2011 - 2012 Barbados Offshore Advisor. All Rights Reserved.